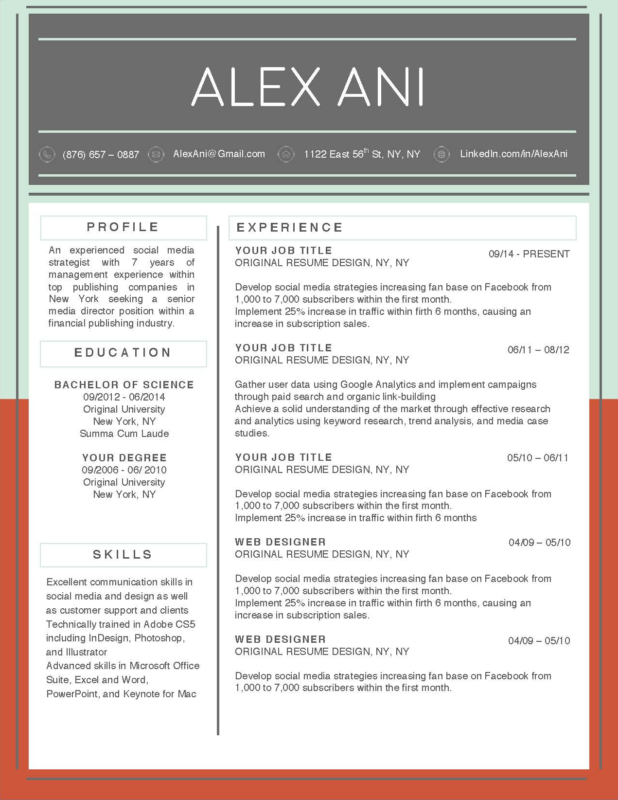 The Alex Ani resume template utilizes bright colors that are modern and unique. Not to mention that you can change these colors by simply clicking on each ox and selecting a different color using the paint bucket. 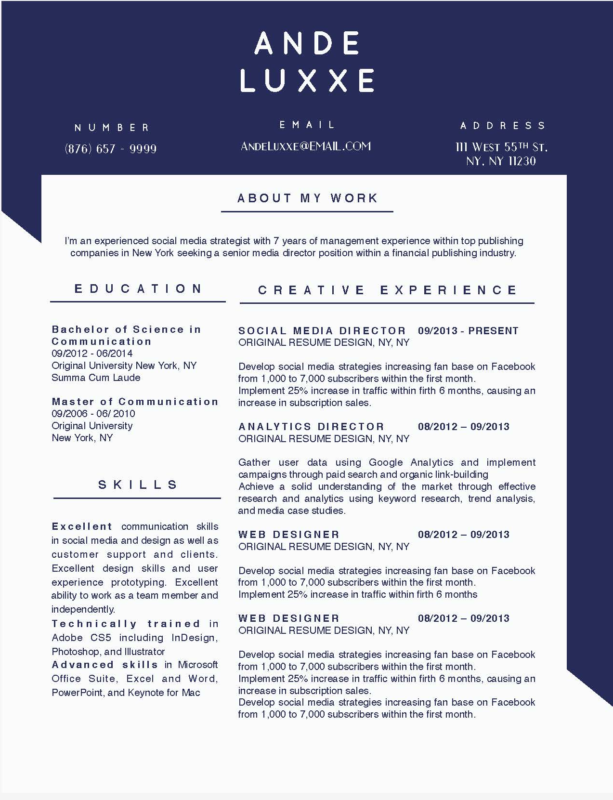 It comes with a matching cover letter, thank you letter, and references letter templates. 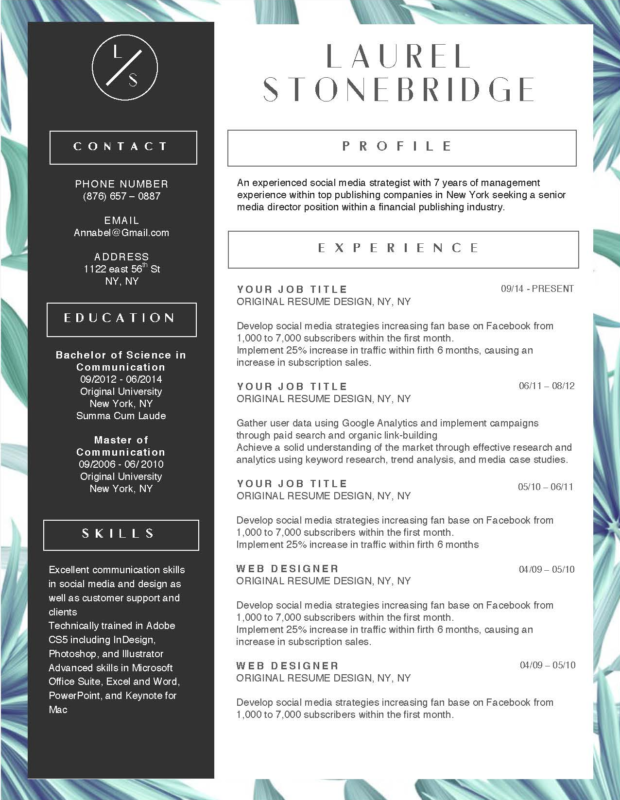 Like the Alex And resume template, this resume also utilizes bright color to stand out and a modern, sleek header, separating all your contact information in a very structured/ organized way. 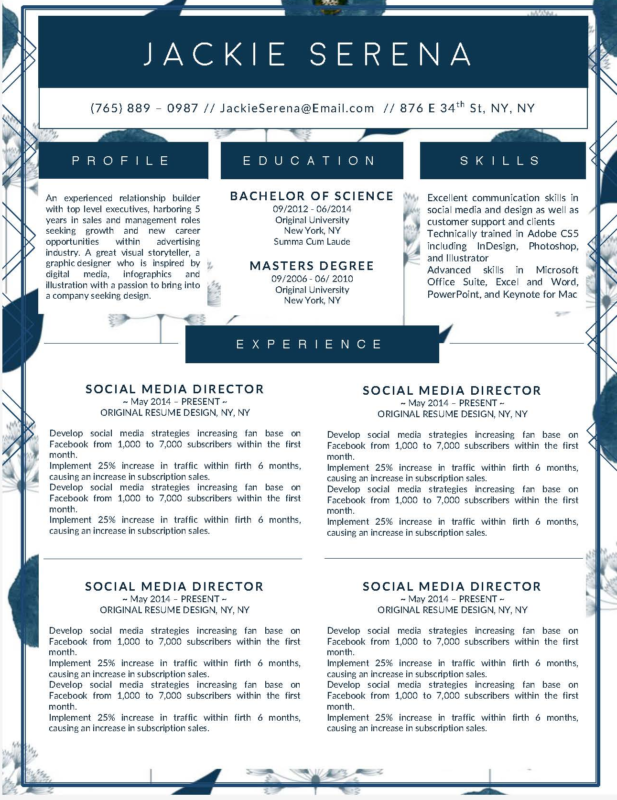 It’s a super creative and professional resume that is sure to make heads turn. 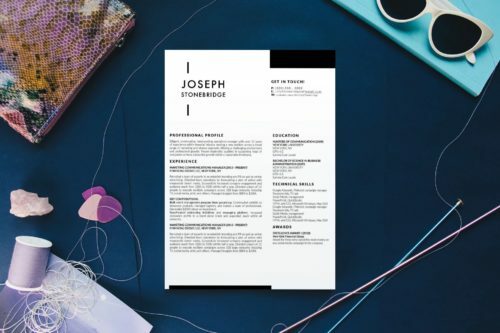 If you’re applying to creative positions and would like to use a photo on your resume, this creative resume template is perfect! 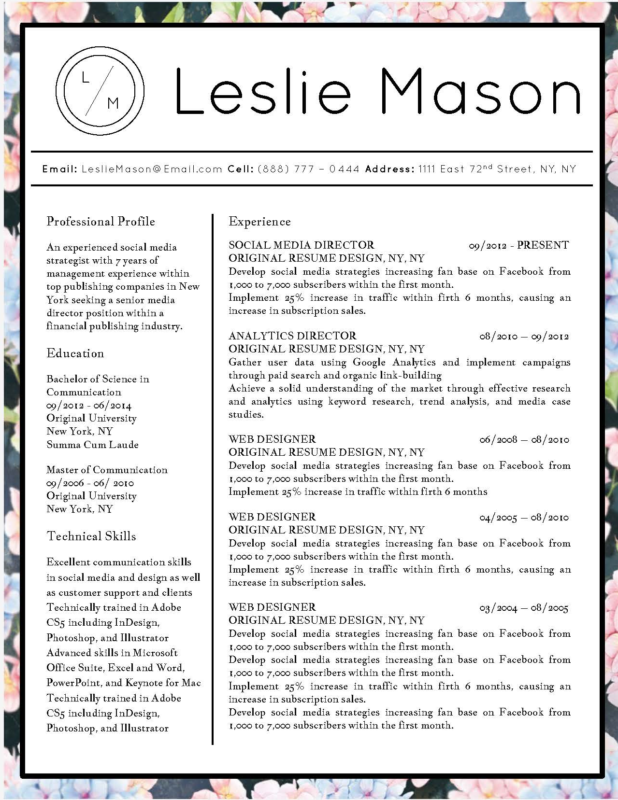 While very feminine, this resume template is both creative and extremely organized. 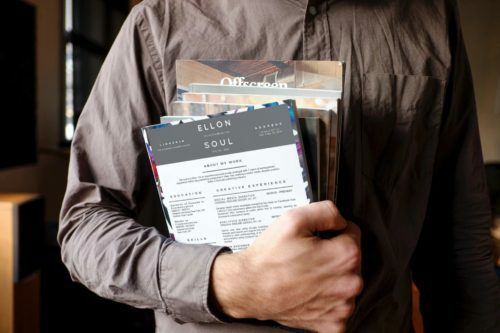 The hiring manager will be able to skim through all your information quickly. 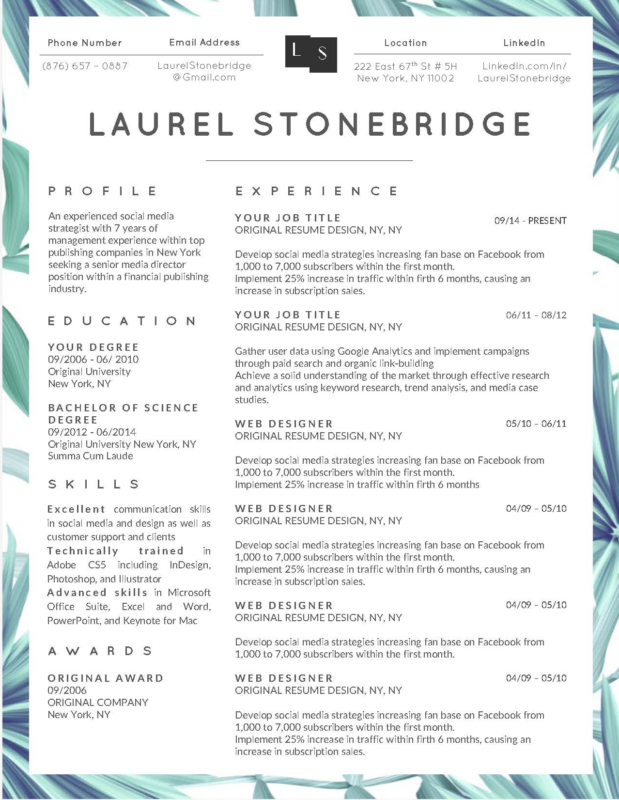 Besides being very pretty, this creative resume template is sure to make anyone in a feminine role that requires taste to stand out. 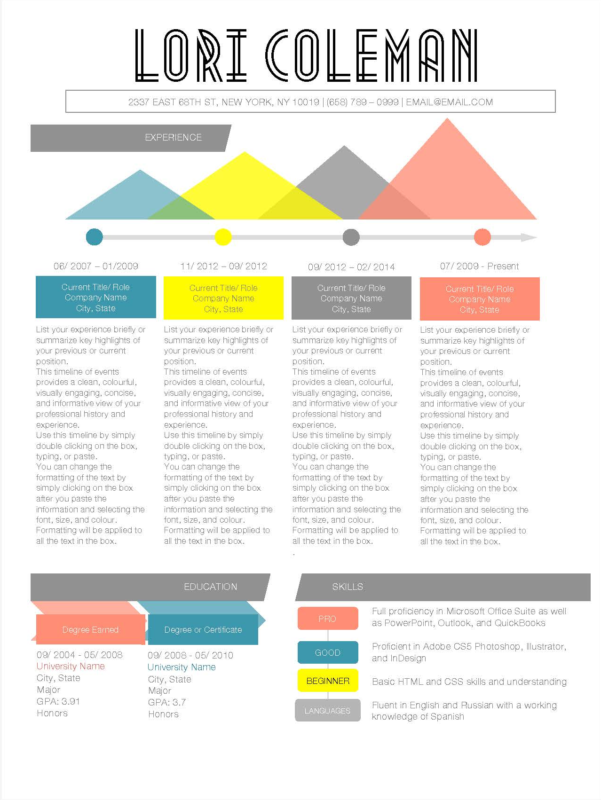 This is an infographic creative resume template for Microsoft Word and Apple Pages. Perfect for ux/ui designers, and engineers. All elements of this template are editable, movable, and extremely versatile. 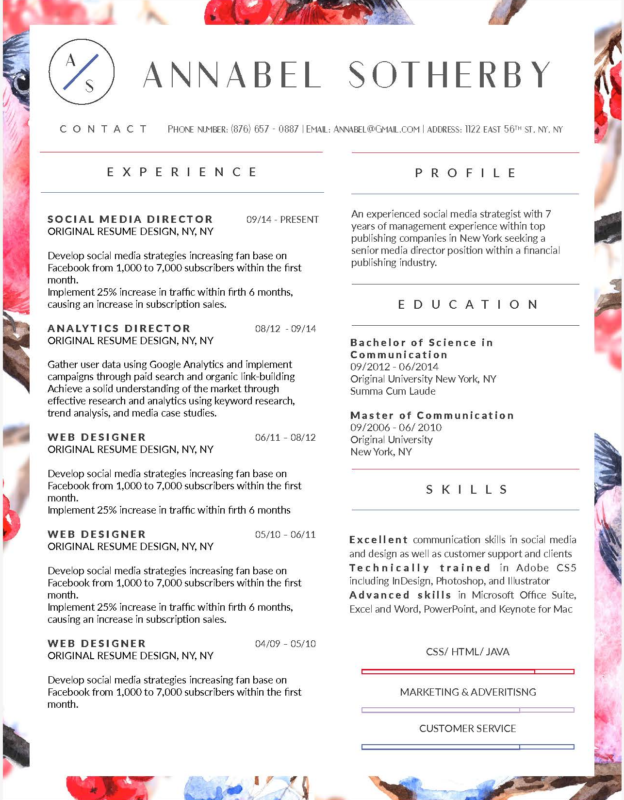 A very feminine and creative resume template, it’s perfect for event planners, social media managers, and many other creative roles that will stand out. 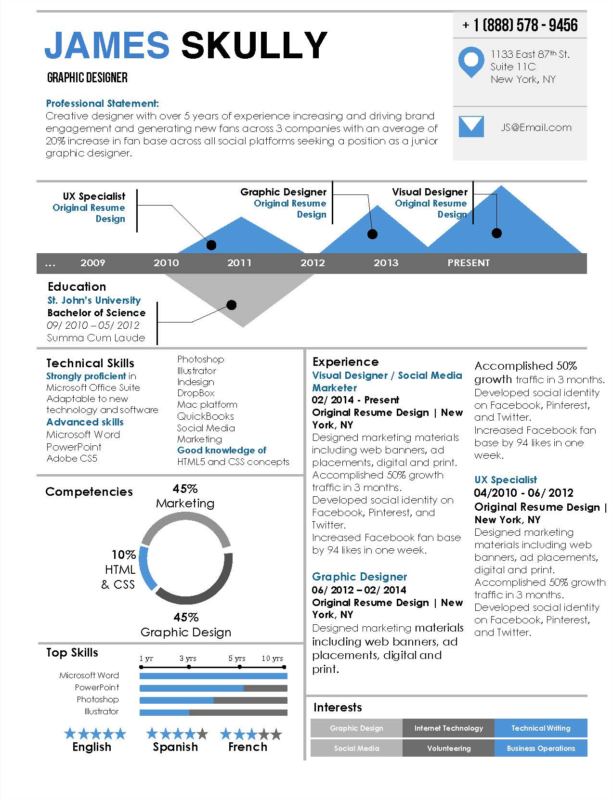 Another infographic creative resume template perfect for designers, engineers, programmers, coders, and other creative roles. 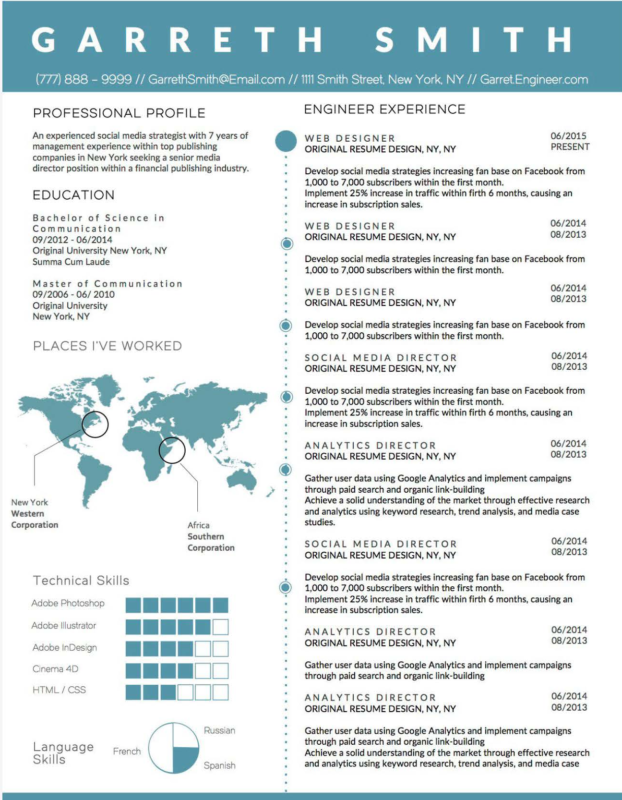 This creative resume template is beautiful, elegant, professional, and unique. 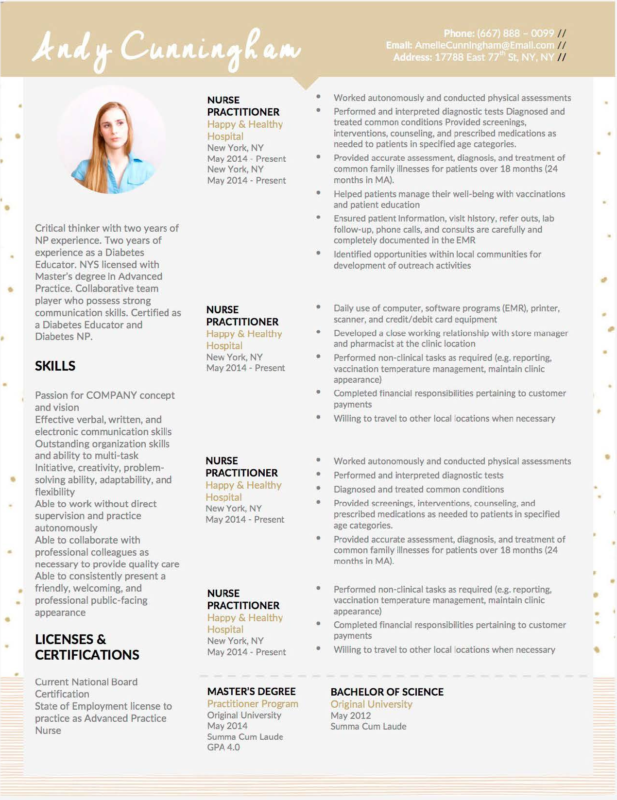 You’re sure to stand out with this resume in the best way possible. 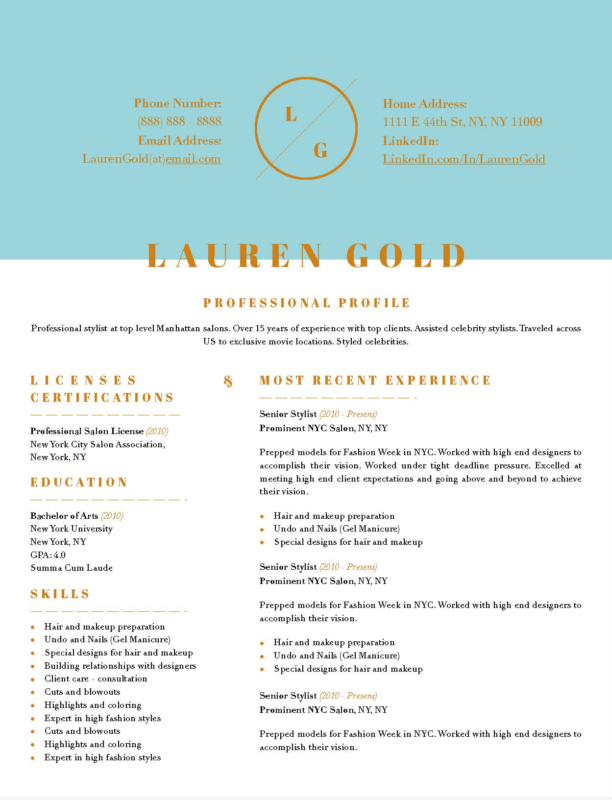 This creative resume template is extremely modern with a personal logo and bright color scheme that you can change to your liking. 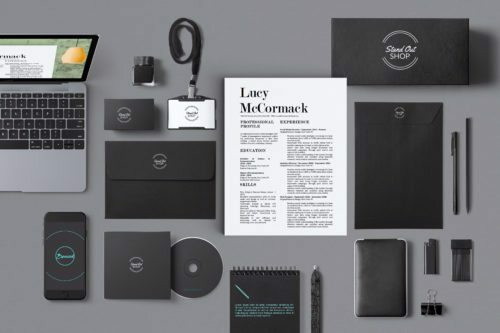 It follows the latest graphic design trend that is both fashionable, stylish, and easy on the eye. 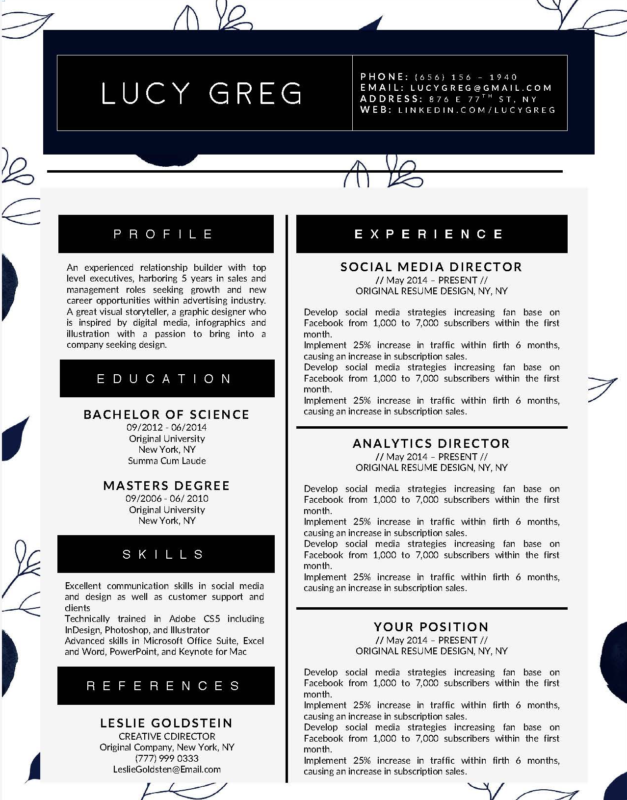 This creative retro infographic resume template is simply more unique than anything a hiring manager would have ever seen for a creative role. You’re sure to stand out! 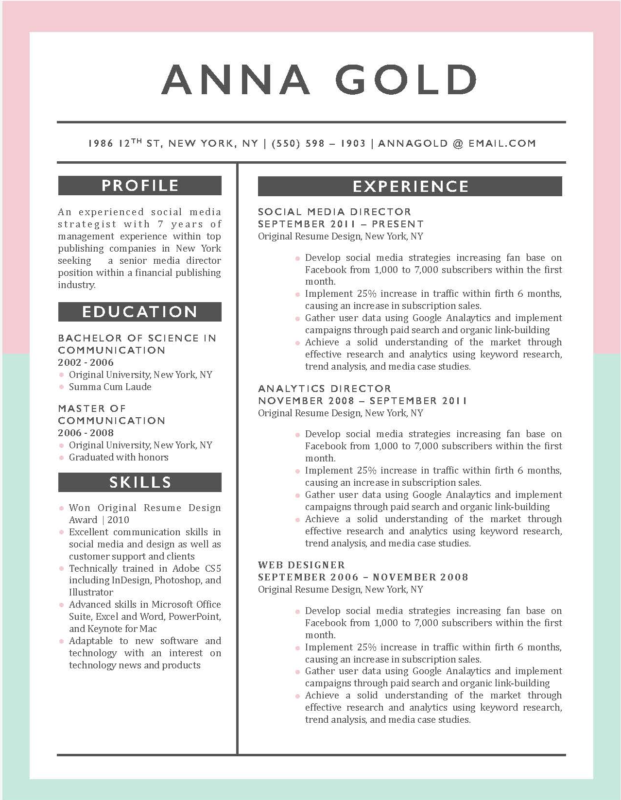 Very elegant and creative, this resume template can help you stand out in a beautiful way. 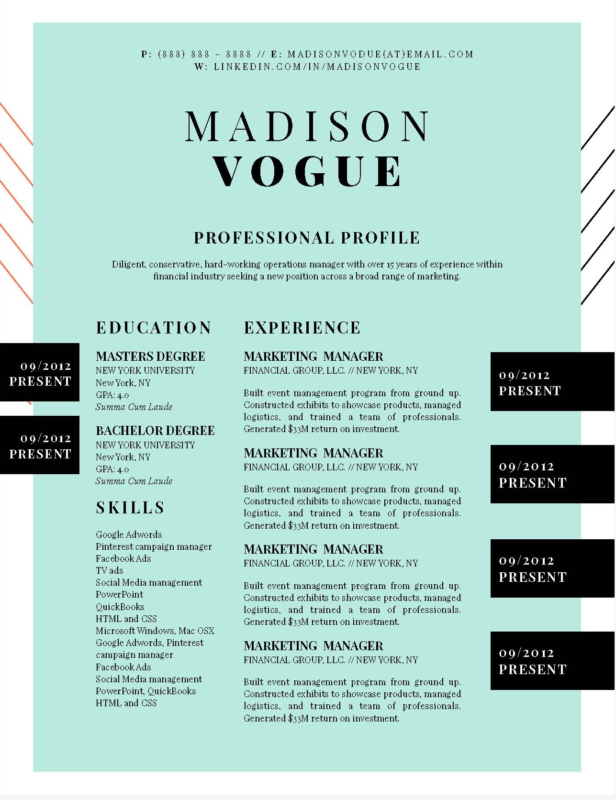 This creative resume template is fashion forward and style all i one! It comes with a matching cover letter template, thank you letter, and references letter template.